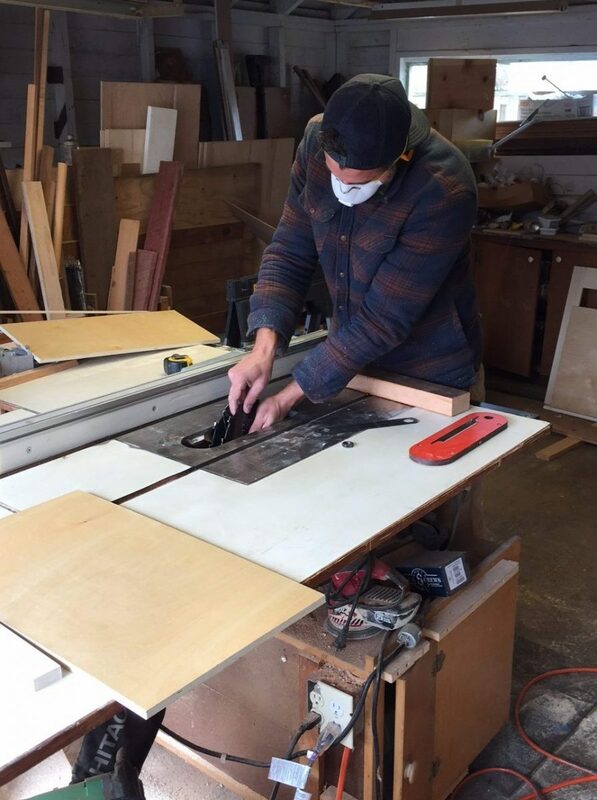 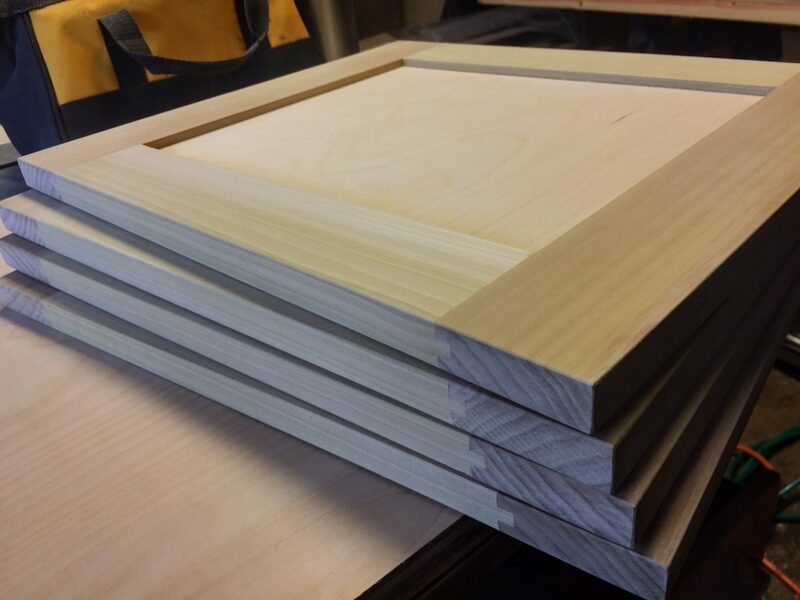 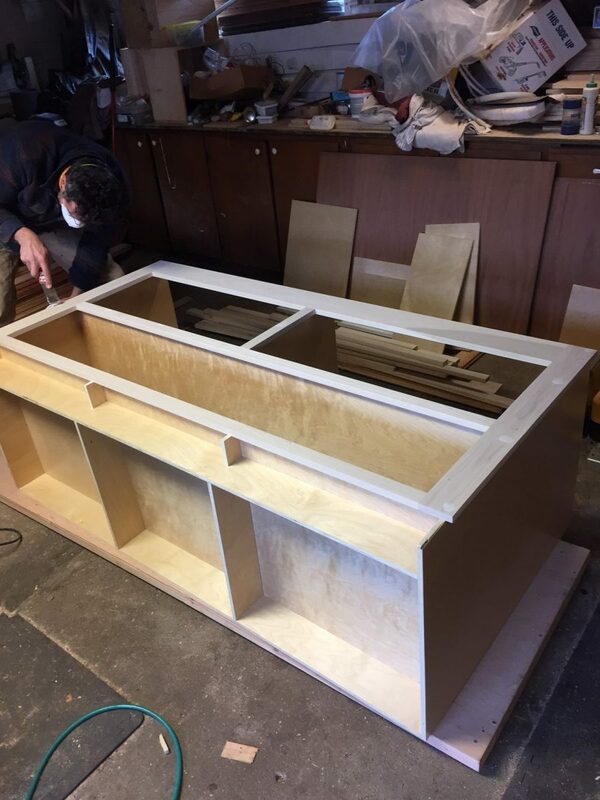 Phil is working on a handmade wood dual sink vanity for a job we’re doing in Northeast Portland. 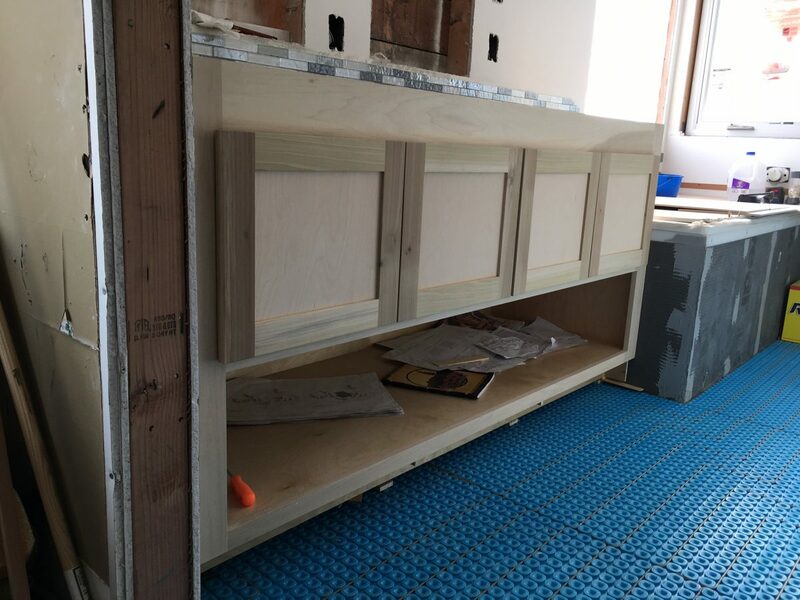 The vanity is installed over an electric radiant heated floor. 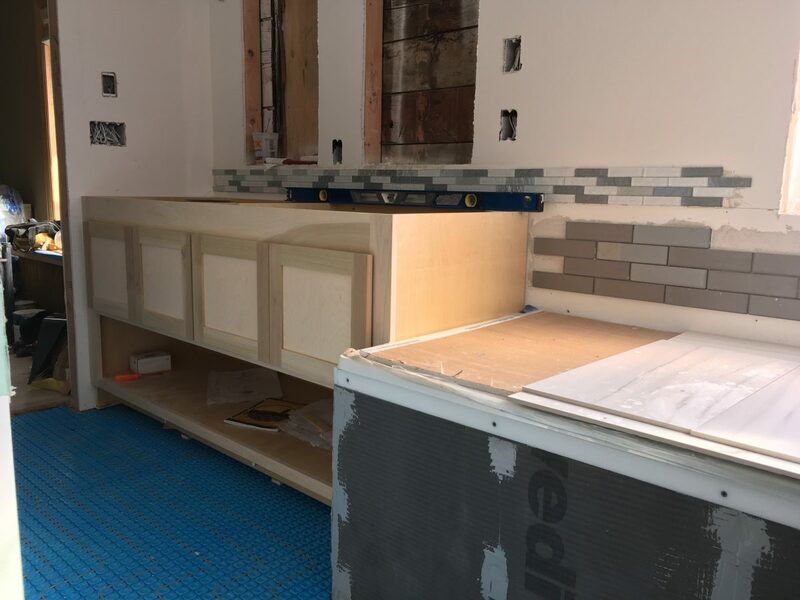 You can see the start of the tile backsplash, the wall cutouts for medicine cabinet mirrors and the perfect fit between the bathtub and wall. 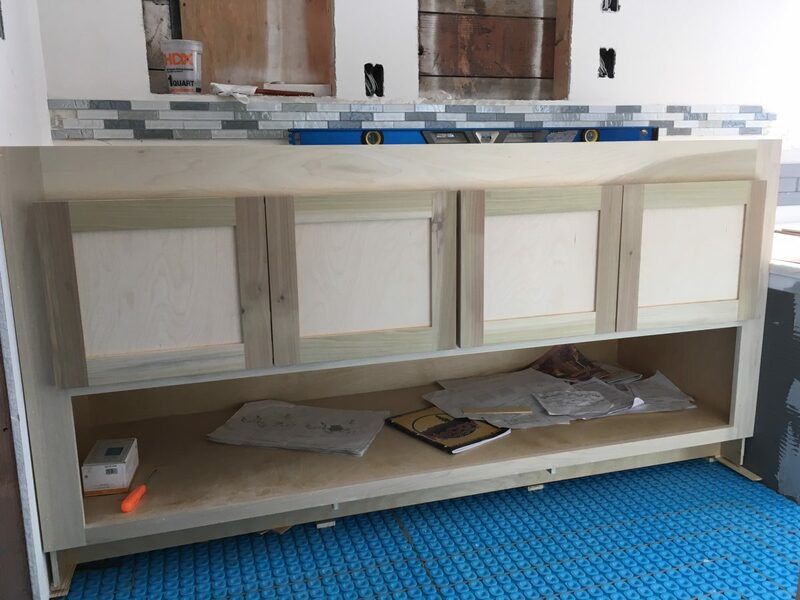 …stay tuned for more to come, including the countertop, sinks, mirrors, completed tile and finished flooring!